Honestly, this entire track feels like a missed opportunity: no Drake hook, Timbo taking a turn on the mic, no Jay outside of the intro (which, depending on who you’re talking to in 2013 might be considered a blessing). 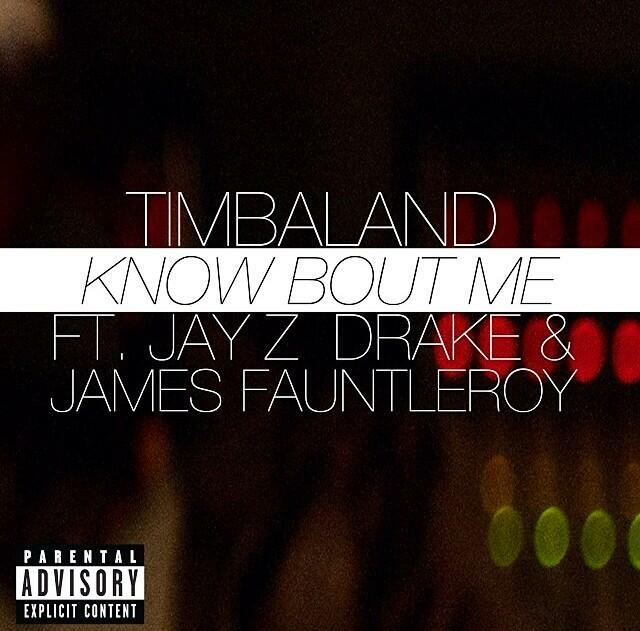 There are, however, a few bright spots: check out the Timbaland-laced, Fauntleroy-graced “Know Bout Me” below, complete with some stu-stu-stu-stu-stutters from October’s Very Own. Since releasing his Take Care near the end of 2011, Drake has been keeping his solo material close to the heart, only making occasional appearances with his blistering verses and hooks on other artists’ songs (see ASAP Rocky‘s “F**kin’ Problem”, Future‘s “Fo’ Real”, Lil Wayne‘s “Love Me” for examples). 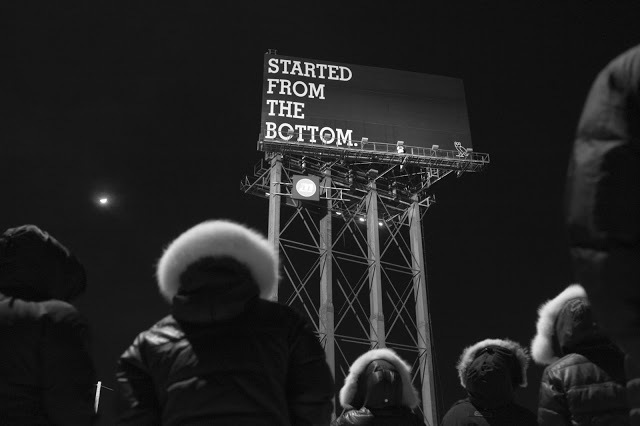 So there’s something inherently exciting about “Started From The Bottom,” the Mike Zombie and 40-assisted debut single from Drizzy’s next solo album. It’s a little bit repetitive — probably to help silence everyone who still claims that Drake’s career was gifted to him on a Degrassi-greased plate or that he just somehow stumbled haphazardly onto the world stage, but the bottom line here (no pun intended) is that he’s worked hard for everything he has now and that he’s here to stay. It has truly been too long. I assume you’re all keeping well and making the most of this year that has been given to us. Today is the day to begin sharing my newest work with you. This is the first single off of my upcoming album. I feel sometimes that people don’t have enough information about my beginnings and therefore they make up a life story for me that isn’t consistent with actual events. My family and my second family (consisting of the best friends anybody could ever have) all struggled and worked extremely hard to make all this happen. I did not buy my way into this spot and it was the furthest thing from easy to achieve. I am proud of every part of my past and I’m excited for this song to find a place in your life as well. I didn’t feel I needed any interviews or radio or press to launch this song. It felt right to come back to the site that I started on and release it to the people that started here with me. Judging by this post, the tour that we’ve been planning, the conversations about new songs and album artwork…I think it’s safe to say we’re back together again. Looking forward to seeing you all soon. Wow, this track is a problem. Less than half an hour ago and with no prior warning, A$AP Rocky announced to his Twitter followers that a new track would be released later today. “F*ckin Problem” is that song, which comes loaded with features from Drake, 2 Chainz, and Kendrick Lamar, as well as production from Drake’s right-hand-man and producer Noah “40” Shebib. Stream or grab the MP3 below, courtesy of Rocky himself. “F*ckin Problem” is the latest single to drop from PMF’s upcoming album LongLiveA$AP, scheduled for release on October 31 through A$AP Worldwide, Polo Grounds Music and RCA Records. 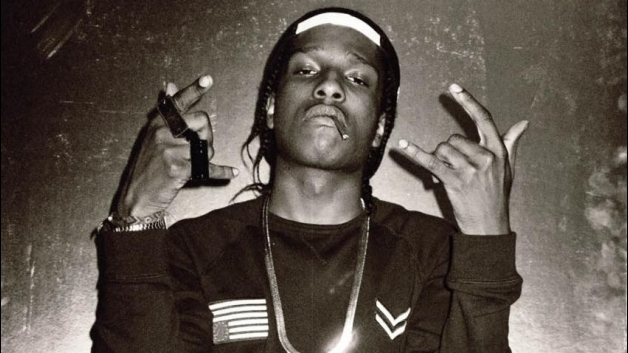 Dates for Rocky’s current LONGLIVEA$AP tour can be found here. 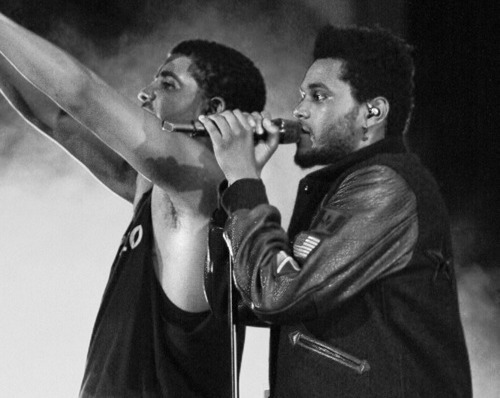 The Weeknd brought out his OVOXO mentor Drake last night while performing at LA’s Hollywood Forever Cemetery. After finishing his first verse on Take Care‘s “Crew Love”, Abel turned to the side and as the crowd suddenly realized what was happening, Drake appeared to finish the song. The two then went on to play Thursday‘s “The Zone”. You can watch a fan-shot, iPhone littered recording of the performance below. 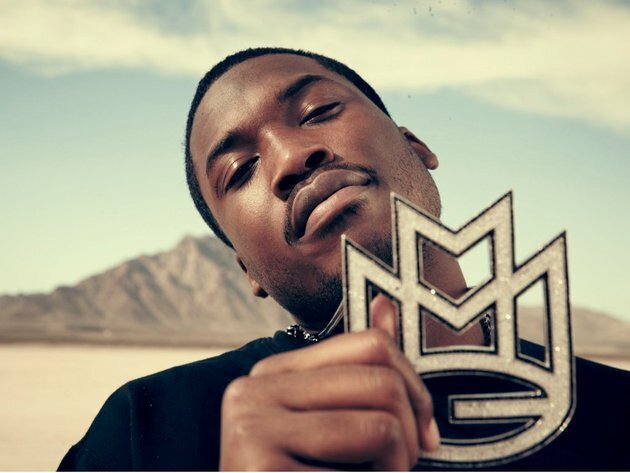 The latest from Maybach Music’s Meek Mill (how’s that for alliteration?) features the dream chaser on a beat that sounds quite different from his usual gritty bangers. To change things up a bit, Meek teamed up with Young Angel and the smooth crooner Jeremih over some church-inspired piano notes to show his versatility as an artist. Amen. Dreamchasers 2 is out May 7th. 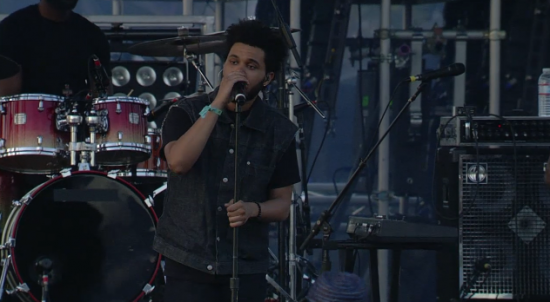 Just a few hours ago, The Weeknd took the stage for the first time in the US to perform a 51-minute set at Coachella. Although he’s played a few shows in Canada and has a tour scheduled later this year, Abel sounded a bit nervous as he performed songs off of his trio of mixtapes House of Balloons, Thursday, and Echoes of Silence, as well as “Crew Love”, his hit with fellow OVOXO member Drake. Normally a very smooth yet mysterious singer, Abel seemed slightly out of place in the bright Californian sun as he missed a few of his higher notes. Below, you can watch the entire set recorded and uploaded by Yardie. More of our Coachella coverage can be seen here. Harlem’s ASAP Mob members ASAP Rocky, ASAP Nast, ASAP Ferg, and ASAP Twelvy linked up with Simms City TV to record a quick freestyle over Rick Ross, Drake, and French Montana‘s now famous (infamous?) “Stay Schemin” instrumental. The four drop some insane rhymes from off the dome and even take the time to throw on their version of the hook. ASAP are poised to take over the rap game in 2012, with their first ever group collaboration album being released sometime in March. You can watch the new freestyle video or download the full MP3 below. 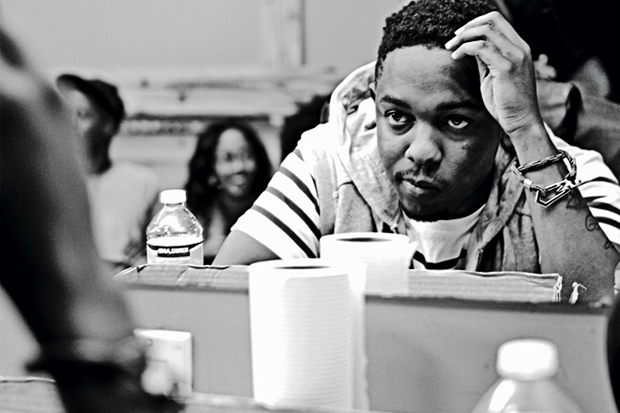 Compton rapper Kendrick Lamar just announced to The Source that his new album is near completion. The album will be titled Good Kid in a Mad City. 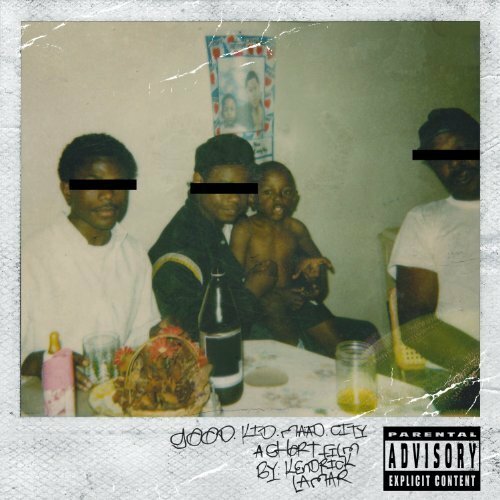 Kendrick stated that “it’s just going to have its own entity and its own space”, meaning that it will not be a sequel to Section.80, which was released last year to extremely good reviews by critics and was also our number 4 album of 2011. You should definitely check it out if you haven’t heard it yet. Section.80 was in between a mixtape and an album because it was released online, but Kendrick Lamar stated the new release would be his first proper debut album. Watch Kendrick’s interview with The Source below. Below that is also an interview with Drake‘s frequent producer/best friend, 40, where he talks about Kendrick Lamar’s involvement on Take Care.